50% Discounts on TemplateMonster Marketplace for designers, entrepreneurs. No coupon code required! 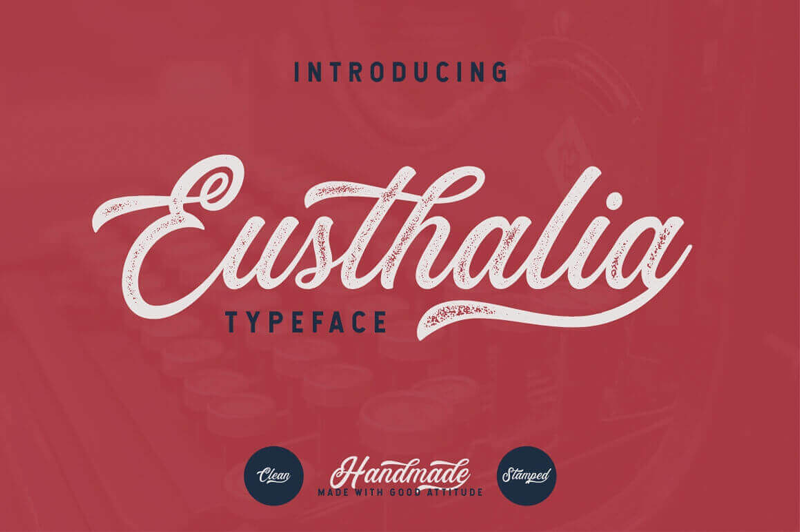 The Eusthalia typeface is two fonts in one. That’s because this curvaceous script font comes in two unique styles: clean and stamped. With all sorts of OpenType features, extra glyphs and global characters, the flexibility of this font is… well, nothing short of fabulous! It’s an excellent choice for any sort of logotype branding projects. $7 instead of $16 – Get it now! 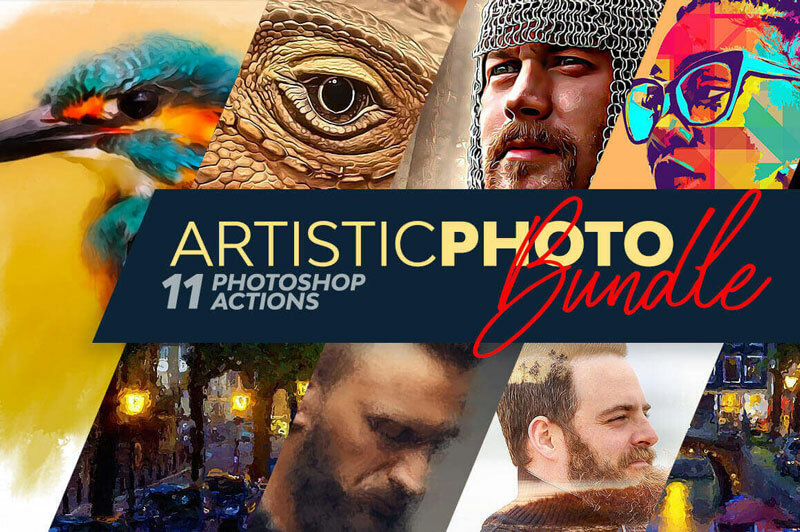 If you’ve always wanted to turn your ordinary photos into extraordinary works of art, you’ll want to get your hands on this Artistic Photo Bundle from Ozonostudio! Packed with 11 amazing Photoshop actions, you’ll be creating gorgeous watercolors or funky pastels with just a click of your mouse. So simple, even a beginner can master thanks to the detailed documentation. $10 instead of $150 – Get it now! Another Mighty Deals Exclusive! 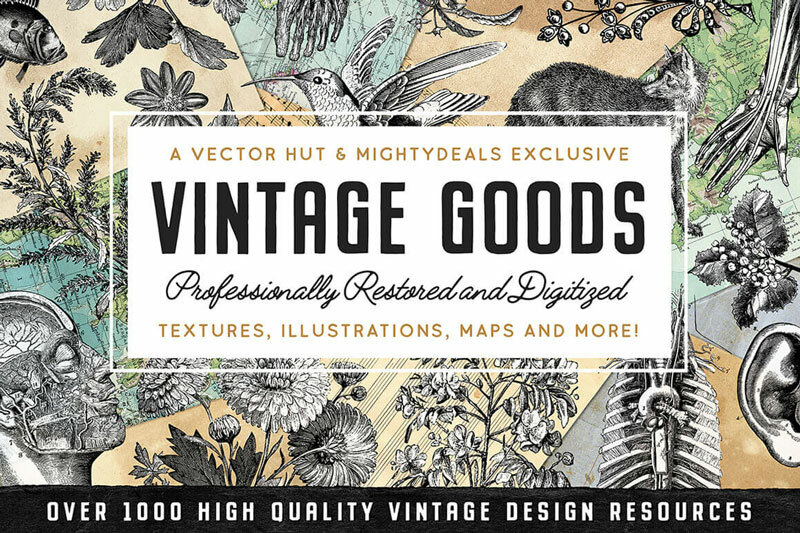 From Vector Hut comes the overstuffed Vintage Design Goods Bundle! Inside you’ll find more than 1,100 premium design elements sourced from a private collection of century-old books and ephemera. There are illustrations, textures and maps covering everything from anatomy to fruits to decorative elements. $29 instead of $265 – Get it now! Here’s some food for thought… How would you like to save a bundle of time and money? 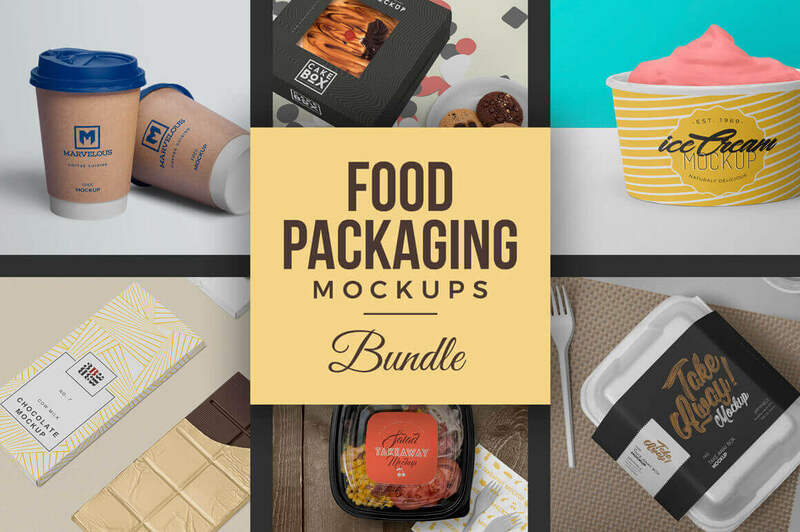 Well, cancel the photo shoot because this bundle features 40 hi-res food packaging mockups. Simple to add your image via Smart Objects, you can also customize the colors, shadows and lighting to get the perfect picture. All without even owning a camera! $14 instead of $29 – Get it now!